Home → Blog → 80s night is back! 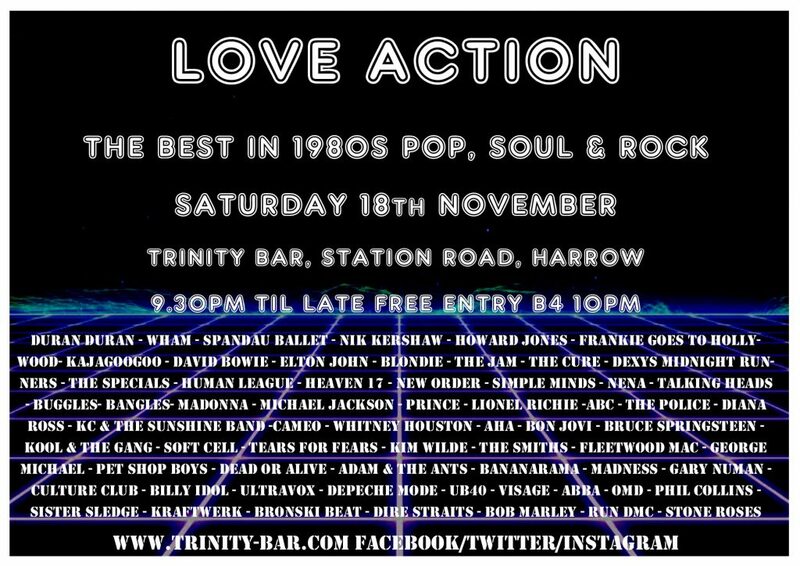 After the huge success and great fun that was the last 80s night, we will now make it a regular feature. So we’re back on Saturday 18th November at 9.30pm. Expect all the best in 80s Pop, Rock, Soul & Hip Hop.